If you have the original Dark Circle Eraser and are wondering what the difference is between it and the Dark Spot Eraser, it's pretty simple -- the Dark Circle formula contains goji berry and haloxyl that are supposed to help diminish darkness under the eyes, while the Dark Spot formula contains Vitamin C that can help lighten age spots and other hyper-pigmentation in the skin. Now, that said, the formulas look and feel pretty similiar on the skin and if you're just using them as concealers and not treatments, I think that you could probably use them interchangeably. And in the regard, I can't really comment on the effectiveness of the Dark Spot Eraser as a brightening treatment -- I've only used it for a few weeks, and while I haven't noticed any of my dark spots diminishing all that much, I've found that it usually takes longer for even the most effective hyper-pigmentation treatments to work. However, as a concealer, I can safely say I love it. One of my biggest problems with facial concealers is that they're thick and tend to cake up, particularly around dry or flaky patches. The Dark Spot Eraser has a thin, lightweight consistency that really blends into the skin so I don't get any cakiness. 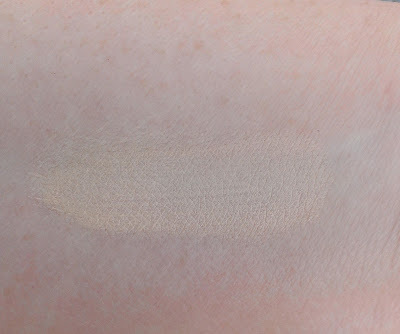 I should point out that it's not a full coverage concealer -- if you have really dark spots or lots of acne, you're probably better off with a thicker formula -- but it covers my freckles, sun spots and redness pretty well. Here's a tip -- if you want a little more coverage, let the Dark Spot Eraser sit on your skin for about a minute before blending it in. Since it's a thin, lightweight formula, you can also layer it if your spots are still showing. I purchased it in 210 Fair and it's a nice pale shade that's pretty neutral. Like the Dark Circle Eraser, the Dark Spot Eraser has a sponge tip applicator. If you're worried about bacteria collecting on it, Maybelline claims that the sponge is protected with an anti-microbial system and doesn't recommend trying to wash it. 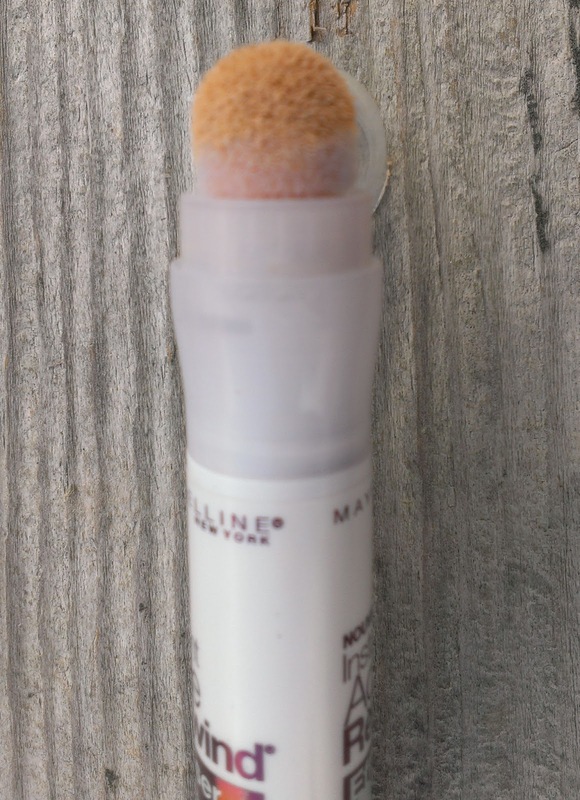 I usually just use the sponge to dot on the concealer and then take a brush or finger to blend it in. 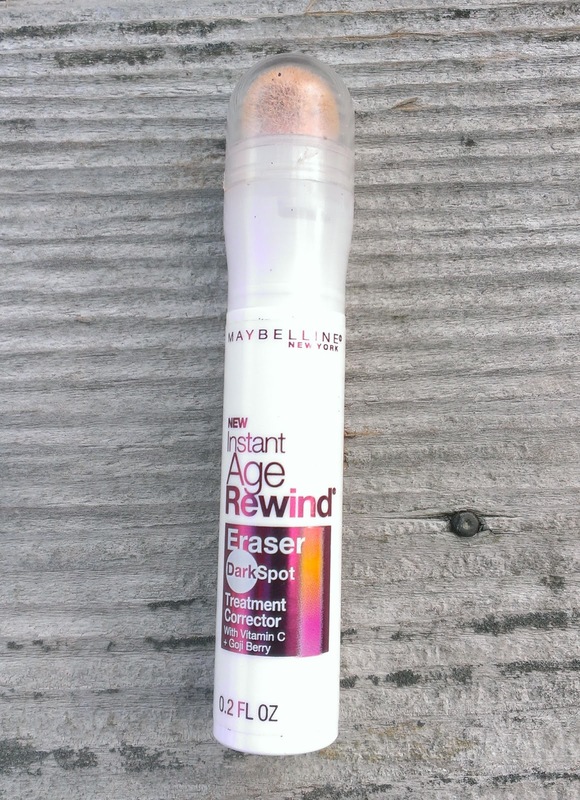 If you're in the market for a nice, lightweight concealer that still provides decent coverage -- and Vitamin C to (possibly) fade your dark spots over time -- I definitely recommend the Instant Age Rewind Dark Spot Eraser. I've been using it exclusively for concealing spots on my face since I got it -- which is saying something since I have about 101 concealers. 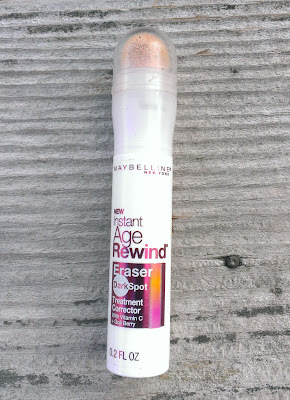 Have you tried the Maybelline Instant Age Rewind Dark Spot Eraser? Do you use a different concealer on your face than you do under your eyes?